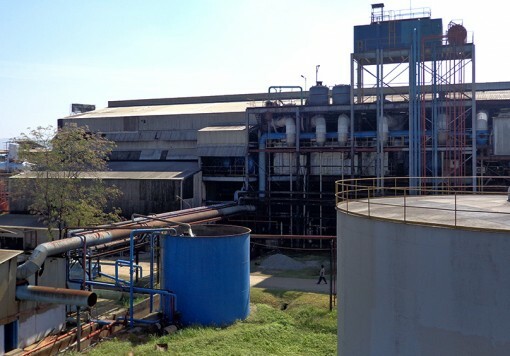 Booker Tate first became involved with what was initially called the Pelwatte Sugar Project in 1980 when it was commissioned by the Sri Lankan government to investigate the feasibility for a sugar project in Monaragala District, an underdeveloped area in the south-east of the island. A full range of services was provided for the feasibility study including soil survey and site selection, agricultural planning, factory studies and financial and economic evaluation. Following approval of the proposals in the study report, assistance was requested to raise the necessary finance to form a private sector company and to undertake its development. The early years were not easy and a Tamil uprising in 1982 made it hard to interest international financiers. However, with the government taking 49% of the equity and CDC and the Malaysian factory contractors, Kerry Engineering having just over 30% between them, the package was completed with large loans from off-shore lenders. With finance arranged, the signing of a ten-year management agreement with Booker Tate in 1984 signalled the beginning of project development. Agricultural development continued in parallel with the construction of offices, housing, training centre and a factory. 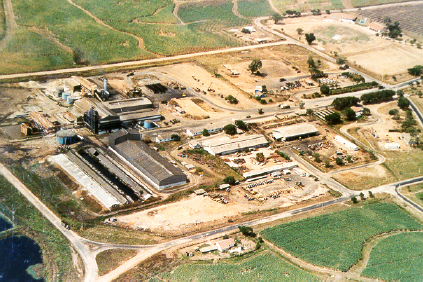 The 2 800 tonnes cane per day factory was commissioned ahead of schedule in 1986 with the capacity to produce 50 000 tonnes per annum of mill white sugar for local consumption. As seem inevitable with a rainfed project, the worst drought on record occurred the year after the factory started and in 1989/90 the estate suffered from the attentions of the JVP, a group of Sinhalese extremists in the south, who caused much greater trouble than the larger Tamil rebellion in the north. Despite these problems the factory produced a near capacity 47 000 ts in 1991/92, only two years behind schedule, making a significant profit. 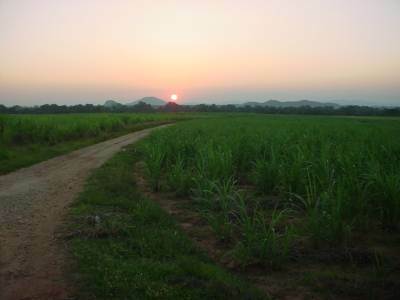 The project has had a tremendous impact on the area in which it is situated with an estimated 20 000 families drawing part or all of their income from it as permanent or casual employees, cane farmers or contractors. Roads, schools and medical services have also benefitted greatly. On-going management included a programme of localisation achieved through training and development both overseas and at the company run training centre. Due to a government policy decision the management agreement was not renewed at the end of 1993 and a management team supplied by the Chinese government took charge of the project. This change of direction was not successful and the Chinese left the project towards the end of 1997. In 1998, at the request of PSIL, Booker Tate once again become involved with the signing of a technical services agreement. This agreement was concluded in 2000.